I Wonder If Live Crowdfunding Works? Let's Find Out! 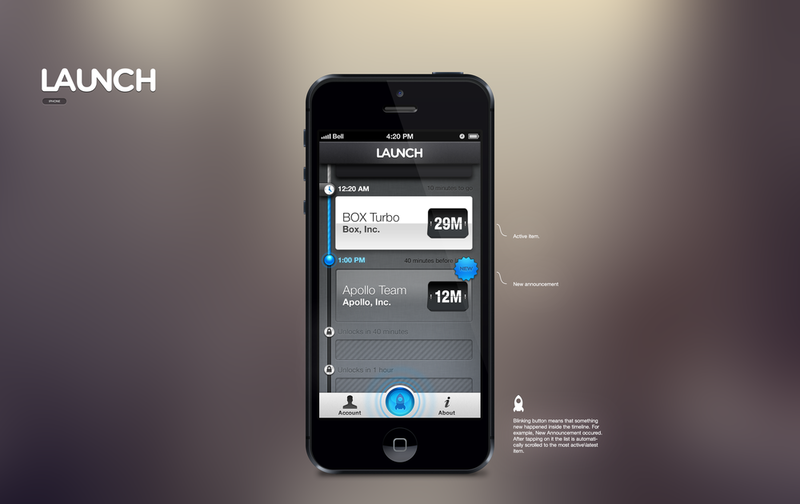 tl;dr: We're making an iPhone app that will let the audience invest in the startups @ LAUNCH live. Like a mashup of a Sotheby's auction and Kickstarter with a splash of AngelList. $2M was invested in the startups at the LAUNCH festival last year from the stage by angel investors and venture capitalists. This was the first time anyone had ever done a life funding at a conference and it was a wild success. If you had invested in our alumni, folks like Powerset, Mint, Yammer and Red Beacon, at the event, you would have made, ummm, a huge return (of course, conversely, if you had invested in many of the other companies, you would have lost your money--that's the nature of startups: most fail). Recently I thought to myself, "What if the 3,000 folks who came to the conference or the 100k+ who consumed it remotely could have invested in these companies--for equity?" Just like folks do on Kickstarter? At this year's LAUNCH Festival--the sixth--we’re making an iPhone app that will allow everyone in the audience and at home to invest in the companies while on stage. 1. Open your phone and see the schedule of founders presenting. 2. Click on the startup you want to invest in. 3. Select how much you want to invest and at what valuation. That last piece came from David Sacks of Yammer, who told me in a late-night discussion that we should figure out what the valuations of these companies should be. He would know, as he launched in the second year of the conference (back when I called it TechCrunch50! ), and in four years grew his humble enterprise company to a B+ sale to Microsoft. 1. Is this legal, will you got to jail? You've probably read that crowdfunding laws are changing so that non-accredited investors -- people who don't have millions of dollars lying around -- can buy equity in non-public companies. These laws are taking appropriate time for the SEC to figure out so that individuals don't get screwed. We will monitor these things closely and make sure we don't break any laws or insult the hard work the SEC is doing right now. 2. Will money actually change hands at the event? That depends on where the laws are at. Probably not, so we'll have people indicate whether they are accredited investors or not, make their commitment in the app and then give all interested parties’ contact information to the startup. The startup can then follow up. 3. Do all 50 startups at LAUNCH have to raise a round? Nope. We'll let the startups decide that. The mission of the LAUNCH Festival is to be the best event in the world to launch your startup and raise money for it. I think our team did a heck of a job last year, and I'm hoping we crush it even more this year. 4. Will you take a fee or make any money? Nope. We're not here to charge startups or make money off them. We're here to help them. 5. Where can we see the app? I'm working with a very cool company called Sourcebits to build the app. Here are my team’s wireframes (link to PDF) and here are the first two screen shots from them based on the wireframes. You can see myself and the Sourcebits team discuss the app on "This Week in Startups" at the 1:24:00 minute mark here. 6. How can I be one of the 50 startups on stage? Simply put, make something awesome like past LAUNCH companies Mint, Yammer, FitBit, Powerset, Space Monkey, Alltuition and 250+ others have! You can be a brand-new company (we call this 1.0), or an existing company with a new product (we call this 2.0). You can apply here through the front door. If you know someone in our trusted circles (e.g., a judge, someone I've invested in before, someone who was on my podcast) you would be smart to ask them to do an endorsed intro of your work. 7. When is the event and how can I get a ticket? The event is in four months: March 4-6, 2013 in San Francisco. If you're a broke founder/entrepreneur and need a scholarship you can apply here. Iif you're anyone else, you can buy one of two levels of tickers: conference pass for $395 and VIP pass for $995. You can see the difference here. 8. How can I help this very important event and the startups at it? We need volunteers to run the event, we need sponsors help pay for it and we need you to come and invest in the startups--even if it's just $100 in one. It matters! Volunteer by emailing volunteer@launch.co, sponsor by emailing Jason Demant at demant@launch.co and attend here. 9. If I’m selected to launch on stage, can I use Kickstarter and AngelList or can I only use this app to raise money? You can use whatever platform you like. We're huge fans of Kickstarter, IndieGogo and AngelList. So you can put your startup in the LAUNCH app, collect contact info of potential investors/partners and then direct them to those platforms. Again, we're here to help founders LAUNCH, not to line our pockets.